Iranian-backed rebels halt drone and missile attacks on Saudi Arabia, say they are prepared for broader ceasefire if Saudis agree. Yemen’s Houthi rebels announced on Sunday night they were halting drone and missile attacks on Saudi Arabia, the United Arab Emirates and their Yemeni allies, Reuters reported. The move came in response to a demand from the United Nations. International pressure has mounted on Yemen's warring parties to end the war that has killed more than 10,000 people and pushed the country to the verge of starvation. The move from the Houthi group came after the Saudi-led coalition ordered a halt in its offensive against Yemen´s main port city Hodeidah, which has become the focus of the war. "After our contacts with the UN envoy and his request to stop drone and missile strikes ... We announce our initiative ... to halt missile and drone strikes on the countries of aggression," Mohammed Ali al-Houthi, the head of the Houthis' Supreme Revolutionary Committee, said in a statement quoted by Reuters. 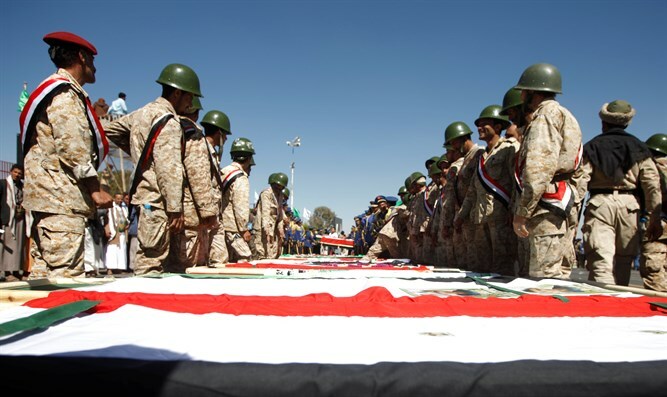 The Iran-backed Shiite Houthi rebels have been at war with a Saudi-led coalition allied with Yemen’s internationally recognized government for nearly four years. According to Sunday’s report, the Houthis added they were ready for a broader ceasefire if "the Saudi-led coalition wants peace." The coalition has carried out thousands of air strikes in the country which have hit schools, markets and hospitals and have killed hundreds of people, though it says it does not target civilians. One of the more serious air strikes occurred in August. The air strike targeted a bus in the Houthi stronghold of Saada, killing at least 29 children and injuring at least 48 others, including 30 children. UN Secretary-General Antonio Guterres condemned the coalition air strike in Yemen, calling for "an independent and prompt investigation". The UN Security Council subsequently also called for a "credible" probe of the air strike. Western countries have provided arms and intelligence to the Arab states in the alliance, but have shown increasing reservations about the conflict since the murder of Saudi dissident journalist Jamal Khashoggi at the Saudi consulate in Istanbul early last month. Last week, US lawmakers introduced a bill that would suspend weapon sales to Saudi Arabia and prohibit US refueling of Saudi coalition aircraft for Riyadh’s campaign in Yemen.